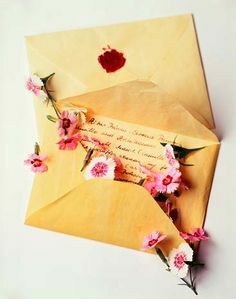 Definitely, Maybe*: Letter to "The One"
I've sat with a pen in my hand writing this letter to you on so many occasions that I almost don't remember what I want to say anymore. I thought I had found you on more than one instance. All the signs were there the violins, the wind in my hair and the sudden pull of it all leading me to an illusion I thought was you. We need to work on the signs this time. Let's have a code word, like when you run into me you say that magical word or perhaps break into a Yo Yo Honey Singh song so that this time, I make no mistake. I know you are somewhere making some mistakes of your own, singing songs, buying flowers, having beer with a girl I will come to hate for breaking your heart. Think you are in love, don't you? Hah, bubble. You need it perhaps, to be able to find me. Let's call her Cruella, okay fine Cranberry? This Cranberry that you are with is going to turn pretty sour very soon. See what I did there? You are from somewhere in the mountains aren't you? Don't get me wrong, I love the sea. But I hope to be able to share it with you without you knowing any of it. Like I could tell the story in any way I liked and it would be your truth. I would miss the feeling of standing on firm ground, solid and safe but the snow melting under your feet in an attempt to make you trip doesn't sound as scary with you around. I could learn to love it and besides how would I miss the sea, I'd always have your eyes with me. I imagine you to be everything I am not or everything I am but just so different. I'm still figuring life out, and in all probability will still be figuring it out when I meet you. Don't be afraid, I dream new dreams everyday and I hope you can live them with me. Sometimes they end up crushed but mostly unfold into something magical like it was the final piece of the puzzle all along only till the next one came by. I hope you like music, the kind that lifts your soul - the one with words or the one which needs none at all. And I really hope that you can play some of your own for me, and if you can't I promise to show you my futile attempts at mastering the guitar. I promise to laugh at all your silly jokes and learn to smile at your mistakes. I could be impatient and impulsive and you might think Cranberry was better but I promise to love you with all I have and sometimes more. And I hope I hear you say at the end of each day that it couldn't be better. I don't know how I'll finally meet you. Maybe at a bookstore when you bend over to pick the book I dropped. Or maybe at a coffee shop where I sat waiting for someone who never turned up. In the midst of the sea of pretentious marriage profiles - yours would say just the right things. At the beach while I made a sandcastle that you made fun off and showed me how it's done so arrogantly. At a party where you couldn't stop dancing and I could not stop looking at you. Or maybe I've walked past you so many times that destiny is tired of its own cruelty but the stars were just not aligned yet. I think I could do without you for a while but I would like to know of your existence. It would be comforting to know my soulmate was not hit by a car or something before I could even meet him. But you are "THE ONE" so I'm sure a grand entrance is in order, it would be a story we would repeat several times to the same people at dinners and anniversary parties. No pressure, I was just sharing. I don't know what you look like and I don't know what you sound like but I know your smile reaches your eyes. That your voice is going to be the only thing that can put me to sleep on a bad day and I know that once I've known you I wouldn't need to know anyone else. I would have added a picture but I wouldn't want some creep seeing it lest it lands in the wrong place. Besides you wouldn't need it, I'm sure you'll be able to tell its me with your eyes closed. So here it is my message in a bottle that I am going to fling into the universe and hope it hits you on the head and you can come find me. But I hope against hope more than anything that I haven't missed you already. Oh sweet, sweet Lord, this is lovely. In the last eight years, there are very few blog posts I have read (and I have read thousands, literally) that have made me feel this way. This, my girl, is simply brilliant.